What you think of our product is the most important thing to us. It drives what we do. Many of you have reached out to us to say the Study Page Overview isn't working quite as well as it should. 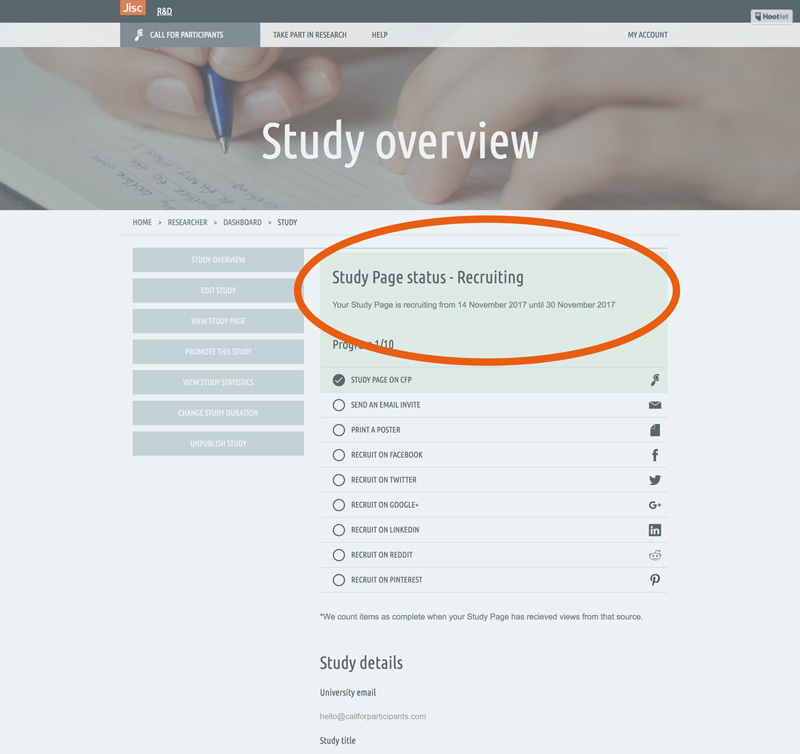 We are happy to announce an improved Study Page overview page. We have made many improvements focused on making it easy for you to access the info you need. The new design makes it easy for you to see the current status of your Study Page, whether is it a draft, pending, recruiting, or expired. All the key dates for your study are also listed so there is no confusion over what happens when. 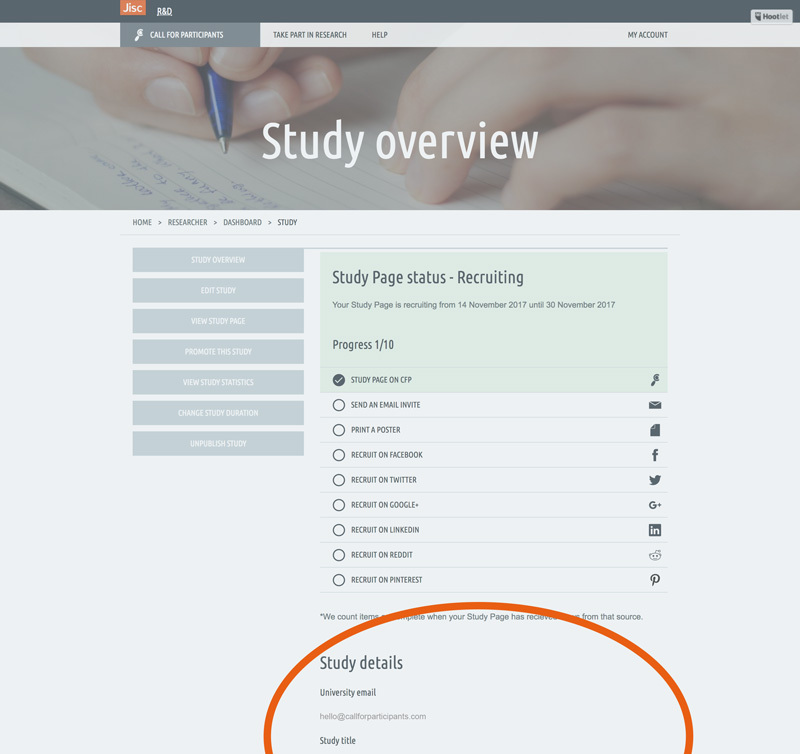 Promotion is such a big part of your Study Page and recruitment in general that we decided to bring progress on this to the Study Overview page. This way you can quickly see which tasks have been completed and access key links to additional resources for those tasks. It is still important to look at what info appears on your Study Page or settings that you've applied. To help you do this, we have kept the study details on the page. Log in and click "manage" on a study to experience your new Study Page Overview page.